Satamisaki Organics’s cosmetics are made by the blessings of nature here in Kagoshima. Their products help to bring back our skin’s moisture and are slowly getting popular among Japanese people who love organic products. 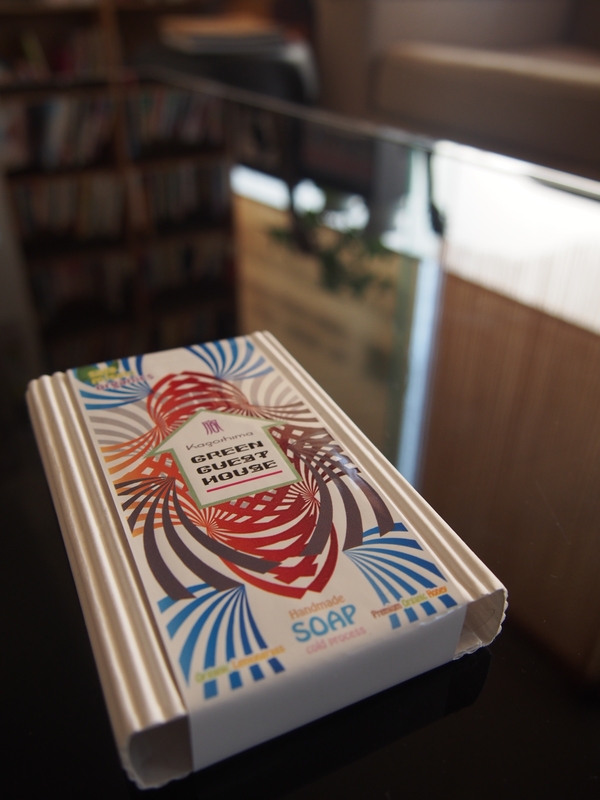 The Soaps on the our wash-stands are provided by Satamisaki Organics, and we are happy to celebrate our 3rd anniversary by collaborating with them. These organic soaps are made using the cold-process method, using organic lemongrass powder from Satamisaki, honey from Minami-Osumi in Kagoshima, and domestic soybean oil from which the compression molding method is used. The scent of this luxury soap is lemony to promote your relaxation. Suitable for souvenirs from your trip in Kagoshima for ¥500 (45g/one bar of soap).Available at reception. We recommend this gift for your family and friends, and for your own memories of Kagoshima.